This piano has a history typical of the best pianos. It was purchased new when the children were ready for piano lessons, and now that the kids are grown & gone, Mom is selling the family home & downsizing. This instrument was well maintained, and comes to us in extremely good condition. 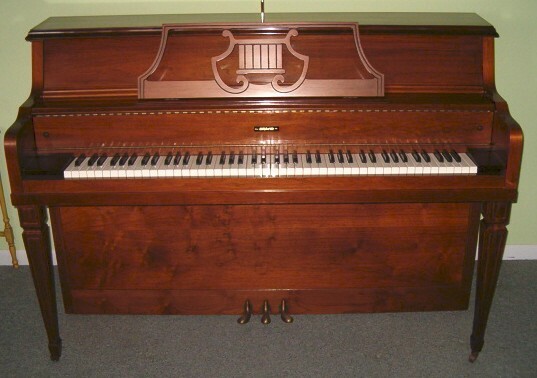 You can't buy a top quality console piano like this one in today's new piano marketplace. Most manufacturers no longer produce them, because it is so expensive to make fine quality pianos like this today that customers would not be willing to pay the high price that would be necessary to market consoles. Comments: Excellent Condition-Well Cared For.